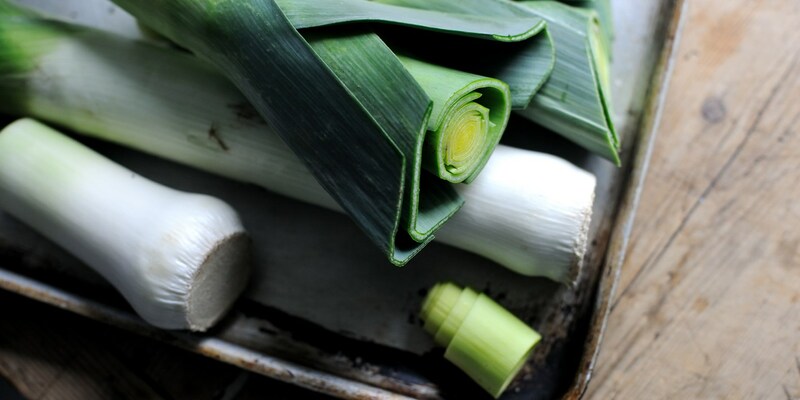 View our sublime collection of leek recipes, including Bryan Webb's leeks vinaigrette recipe, Nathan Outlaw's baked leeks, and a chicken and leek pie recipe from Shaun Rankin. Leeks are a great seasonal ingredient. Fragrant, sweet and beautifully versatile, they form the basis of many great dishes. Try a simple leek and potato soup recipe for a warming treat, or serve creamed leeks with fish cakes. For a luxurious supper, try Russell Brown's baby leek recipe with truffle butter sauce.